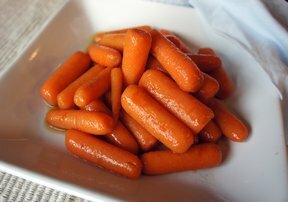 In a large sauté pan over high heat, combine the carrots, butter, broth and sugar. Bring to a boil, then reduce heat to medium. 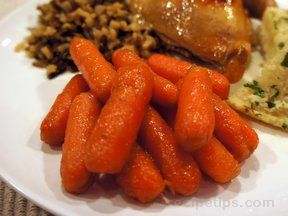 Simmer, uncovered, until the carrots are tender and the pan juices are reduced to a syrupy glaze, 8-10 minutes. Stir in the grapes and walnuts and season to taste with salt and pepper.